Dream. Dress. Play. : Make It Monday! Make Your Dolls A Beach Tote! Make It Monday! Make Your Dolls A Beach Tote! 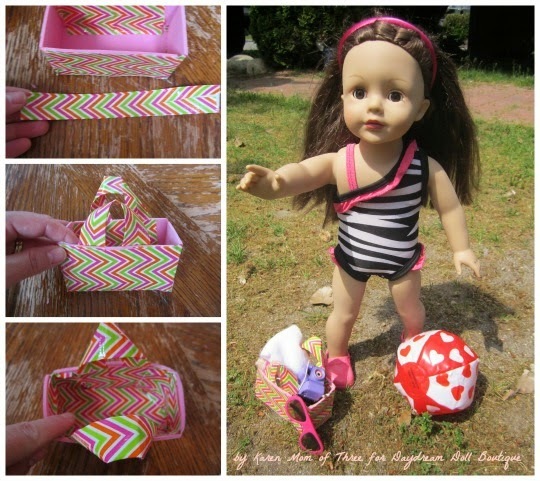 Today I wanted to share with you a easy way to make your dolls a sturdy beach tote! This weekend was the unofficial start of summer and with that comes bathing suit and beach weather! Step 1- assemble all your supplies. Cut out your bag pattern from the fun foam. This will give it structure when you cover it with the tape. Step 3 - Cut 2 rectangles that are 2 inches by 1 3/4 inches wide, these are the short sides. Step 5- Use your tape to assemble your bag, adding more a tape along the bottom edges and sides as you go. Step 6- Create handles with 2, 6 inch long pieces of duck tape, fold one long edge into the center of the tape and repeat with the other long edge, repeat on the other piece. Step 7- Fold and tape your handles into place and line the inside of your beach bag with more of the tape. 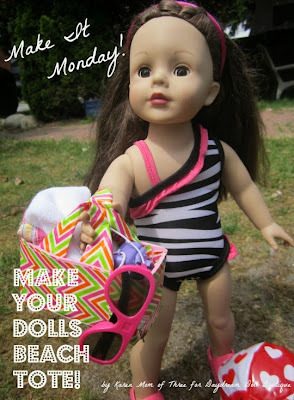 Step 8- Fill with your dolls beach needs, I used a doll sized towel, sunglasses and camera. Cute craft! 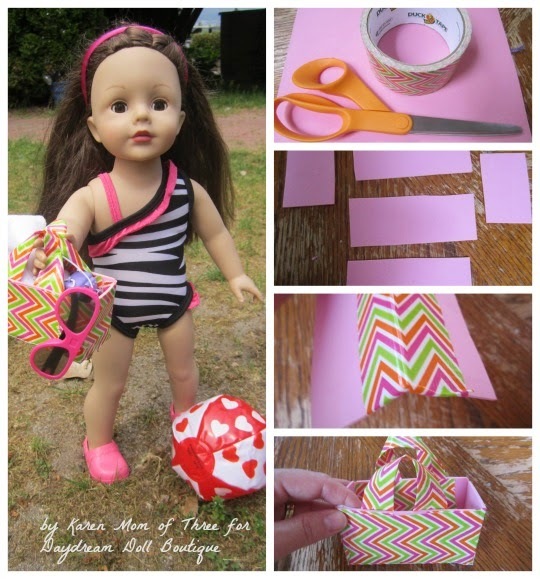 Do you have a pattern to cut out the bag shape from the fun foam? Stay Connected- Follow us today ! 40% off Spring Clean Sale starts now ! Visit us at Holy Cow Boutique this week !